I made the best dinner tonight out of practically nothing. Best sandwich EVER! Well, this sandwich is a close second. And okay, maybe not quite as good as MBD, but best homemade sandwich, okay? 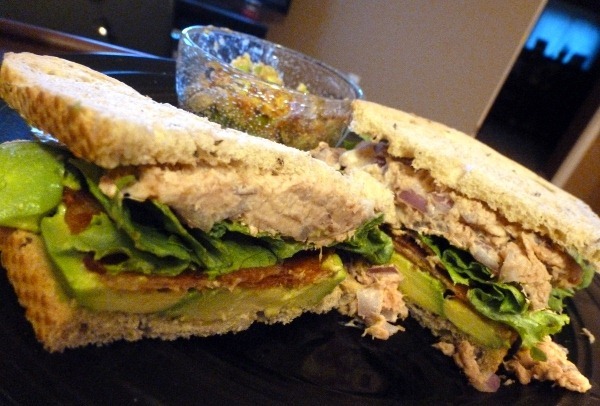 I wasn’t sure if Tuna + Bacon + Avocado would make a good combination (fish + pork? ), but it DIIIIID. Do it. I don’t know why I ever doubted it. What sandwich would be BAD with bacon on it? To go with my super-sandwich, I made guacamole out of the other half of my avocado and dipped in a few Trader Joe’s Everything Pretzel Slims. Mmm, they are tasty. I also heated half of a carton of lentil soup but it was BLEH, so I didn’t eat it. I believe it was the Dr. McDougall’s brand. I just didn’t care for the seasonings. 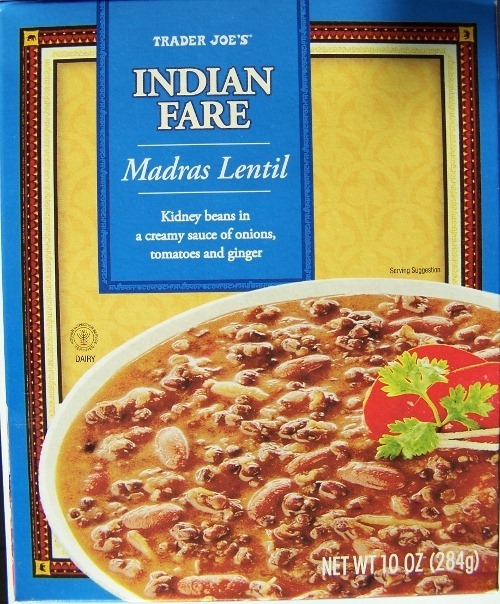 I need to get to Trader Joe’s to get more of my favorite store-bought lentil soup: Madras Lentil, from their Indian Fare line. 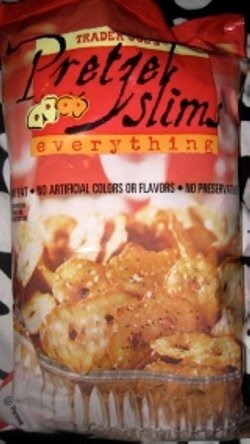 This stuff is awesome. Do yourself a favor and pick up both of these items next time you are at Trader Joe’s.